Two interesting paintings signed "Vincent" and "TL"
and became a friend of Toulouse-Lautrec. They experimented with the style and techniques in the art of the impressionist and post impressionists. "The French painter Toulouse-Lautrec met Van Gogh, who was ten years older than him, at Fernand Cormon’s studio, where they were both taking lessons. 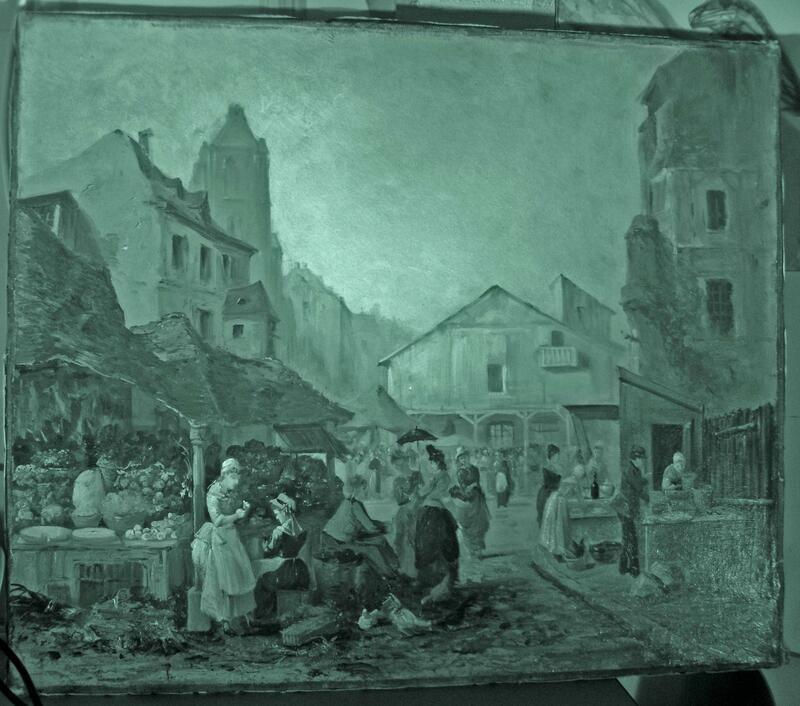 They probably worked together intensively for a while, as the style and technique of their paintings in this period look very similar. Toulouse-Lautrec sprang to his friend’s defence at the exhibition of ‘Les Vingt’ in Brussels in early 1890. Van Gogh had submitted six paintings, which caused a furore during the opening. Toulouse-Lautrec was so angry about some of the negative comments he heard about Vincent’s work that he almost got into a fight with another artist. The two painters might have seen each other one last time a few months later, when Van Gogh left Saint-Rémy and travelled to Auvers-sur-Oise via Paris. Little else is known about their friendship." "Vincent met Henri de Toulouse-Lautrec (1864–1901) while studying at Fernand Cormon’s studio, and the two men became friends. but as far as is known, Toulouse-Lautrec never replied, and there was no further correspondence. The friendship was by no means over, however. 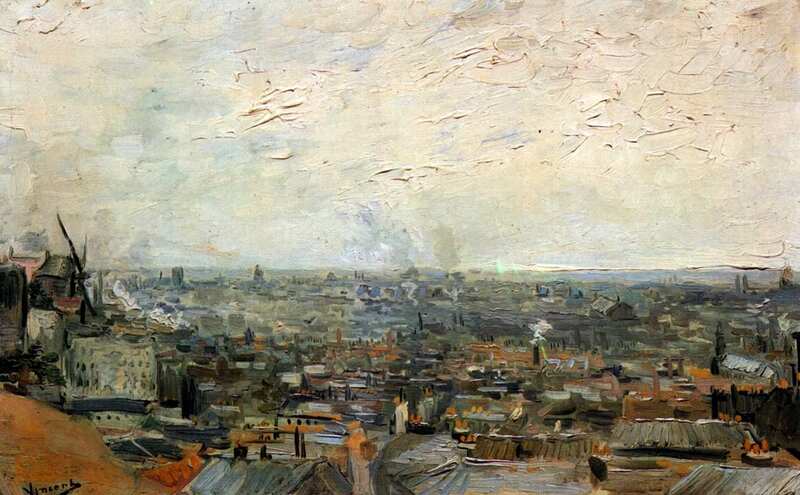 In July 1890, when Vincent was living in Auvers-sur-Oise and paid a visit to his brother in Paris, Toulouse-Lautrec came to see him, and they had a good time together. After Vincent's death, Toulouse-Lautrec wrote to Theo that Vincent had been a good friend of him." 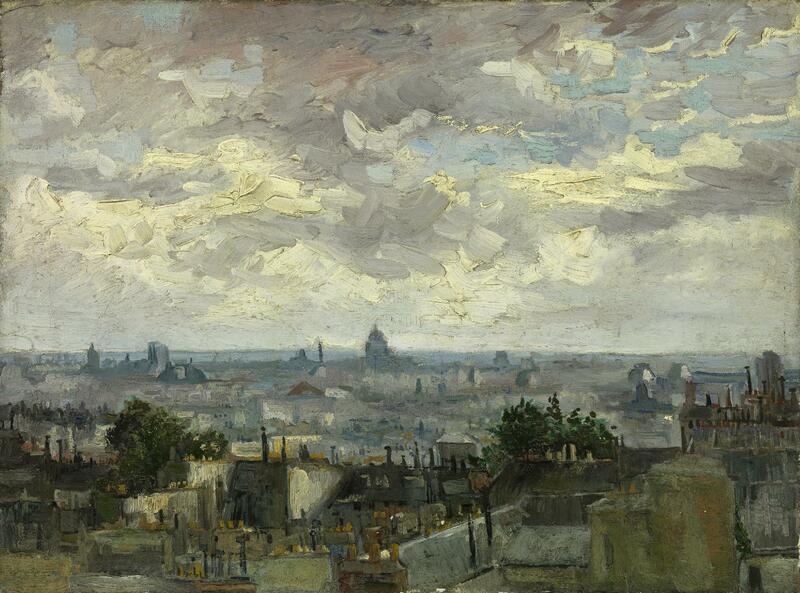 In February 1886, Vincent van Gogh left Antwerp for Paris, where his brother Theo lived. There he enrolled in Cormon's Atelier and became a friend of Toulouse-Lautrec. 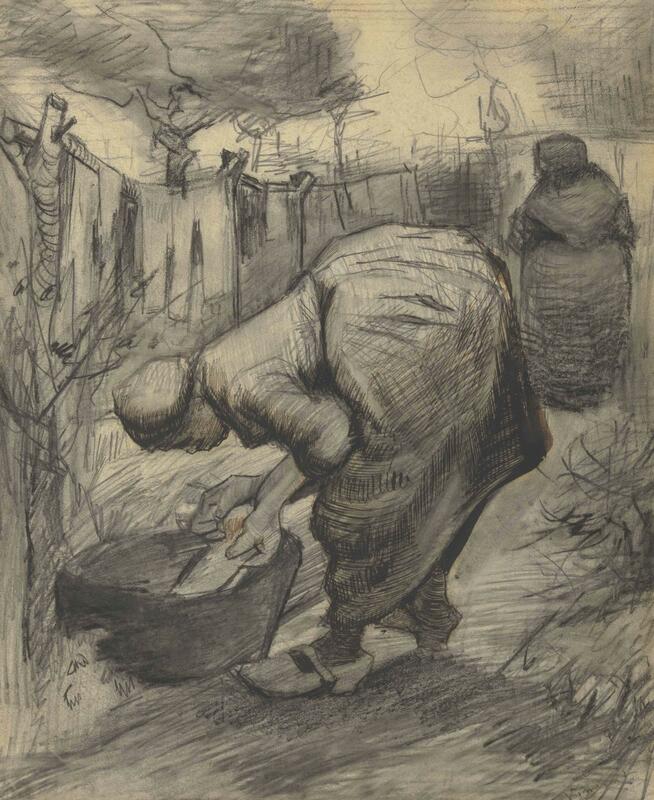 For two years they painted and exhibited together, influencing each other's work, but in February 1888, on Lautrec’s advice, Van Gogh moved to the south of France. 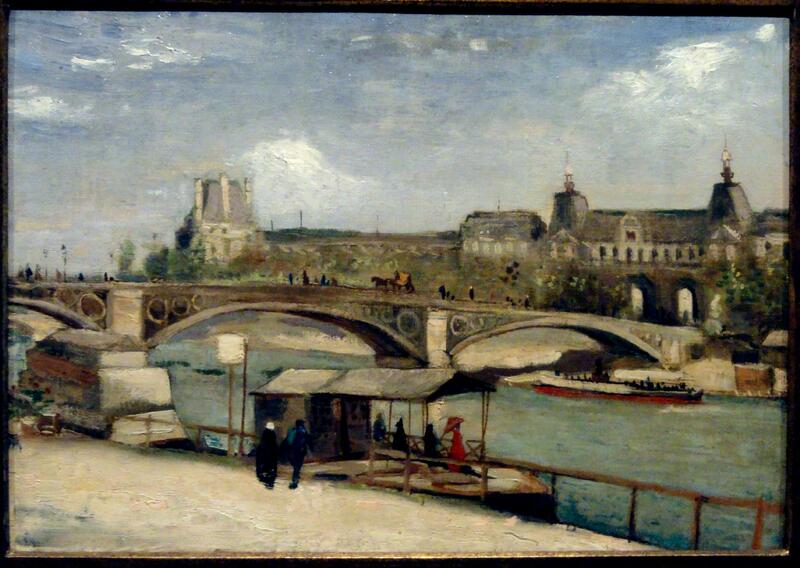 They spent one more day together in July 1890, during Van Gogh's last visit to Paris. 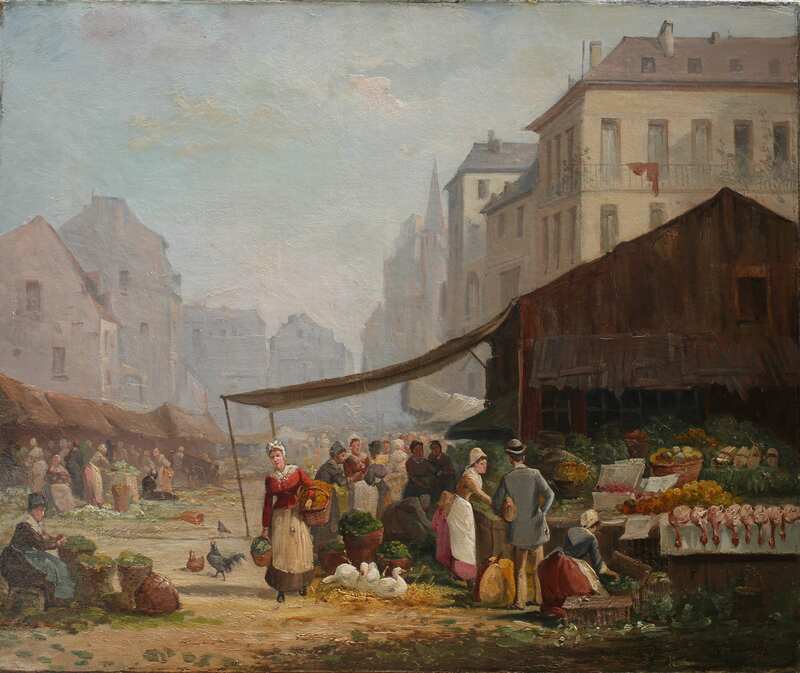 It was through Emile Bernard that Van Gogh struck up a closer friendship with Henri de Toulouse-Lautrec and Louis Anquetin, whom he had also first met at Cormon's. Van Gogh had paid regular visits to Toulouse-Lautrec's studio in Rue Caulincourt, Paris, just around the corner from the brothers Vincent and Theo's apartment, to show his work." 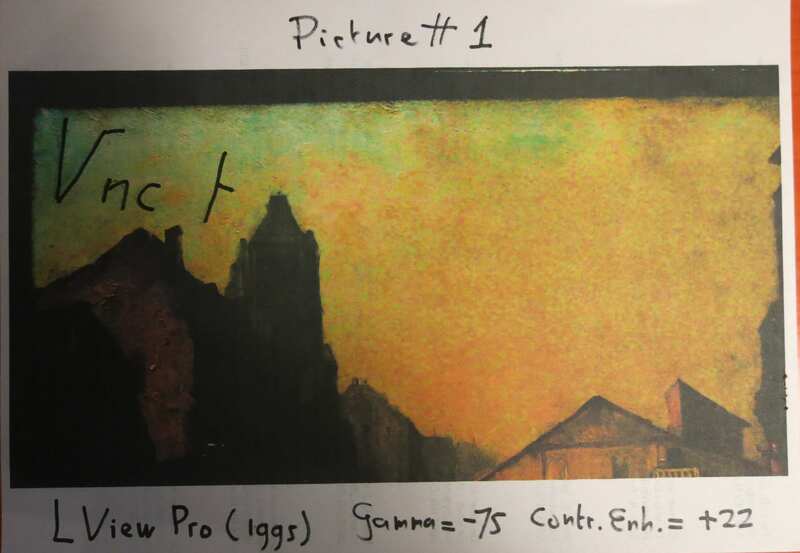 In Van Gogh's period in Paris (March 1886 – February 1888) the colors of his pallet are influenced by the impressionists. 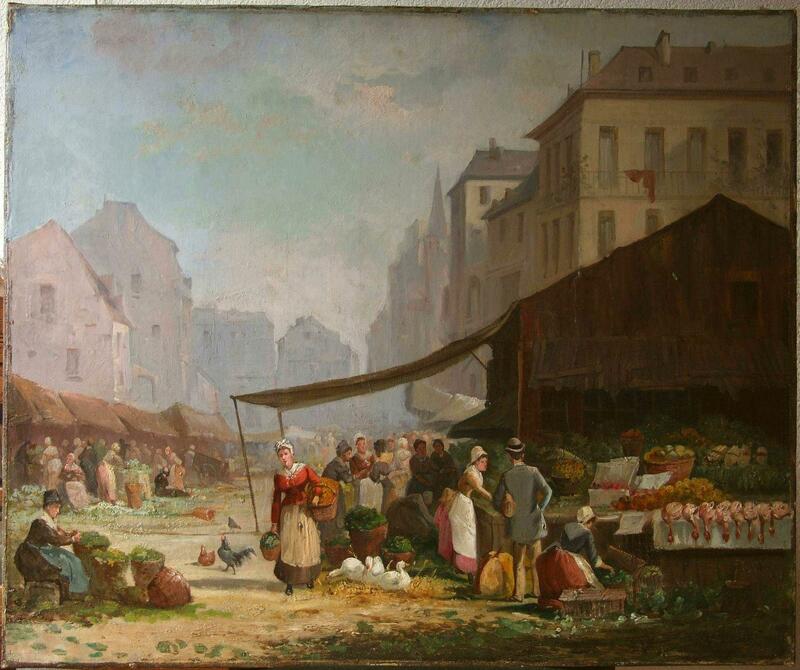 He made there more than 200 paintings, among them sights in Paris, especially in Montmartre. Much work by him was unmarketable and got lost or is missing. 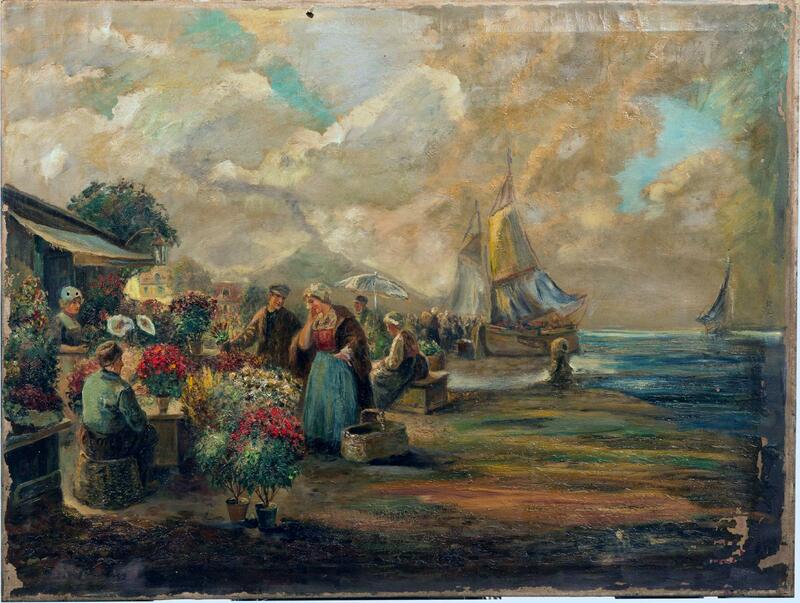 A Dutch businessman gathered paintings, etchings and drawings in the first half of the last century. The collection consists of unsigned work of good quality. 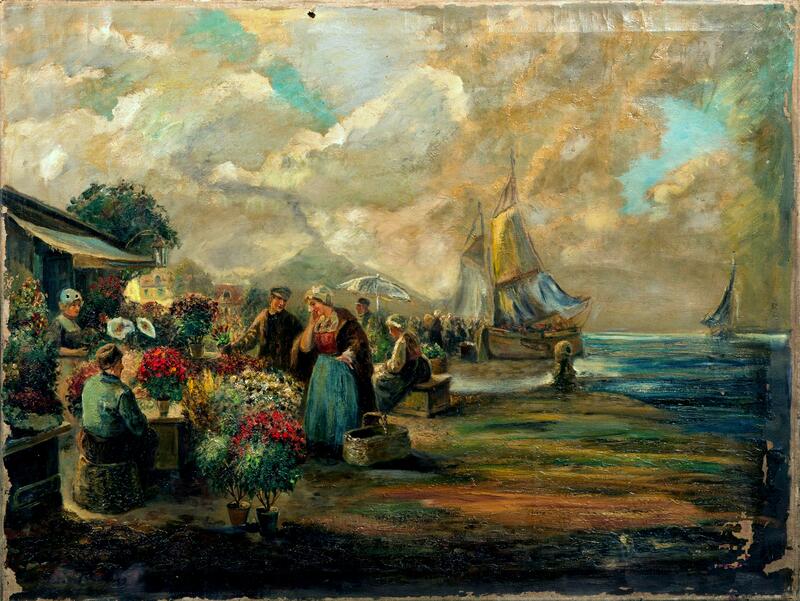 An exception are two paintings signed with "Vincent". 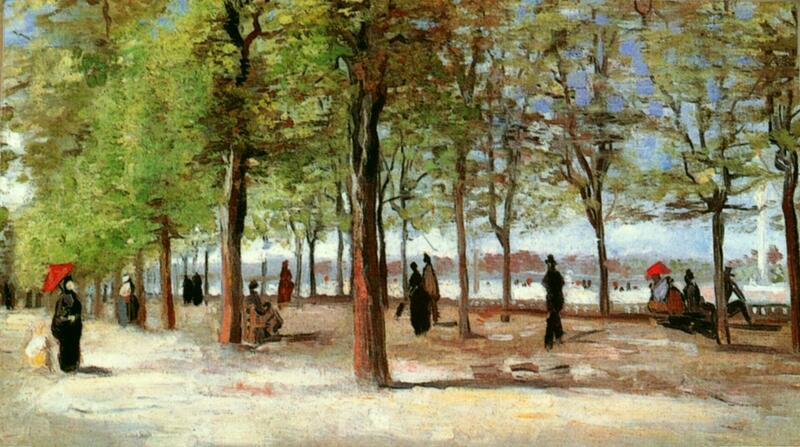 The paintings are two market scenes in the clear spring colors of the impressionists. 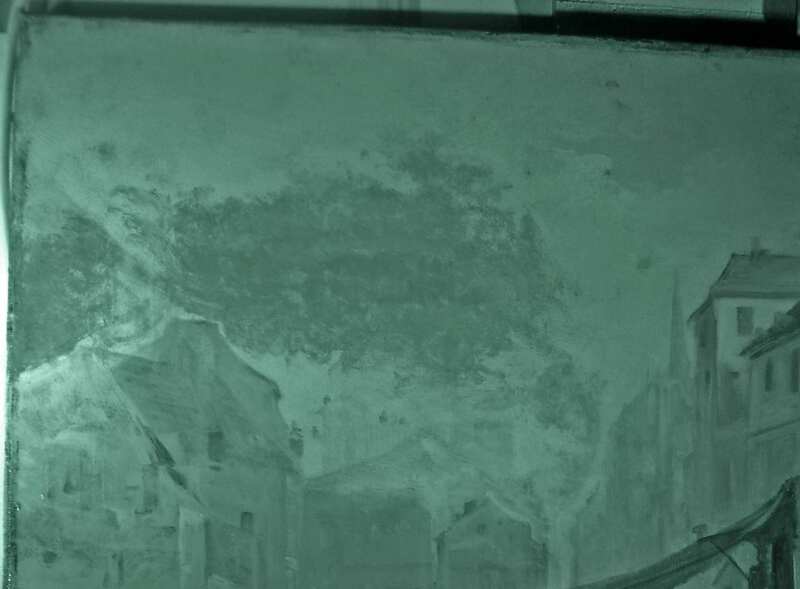 The two signatures have very much resemblance with Vincent van Gogh's signature on the drawing Paysanne au bassin dans un jardin. September-October 1885. 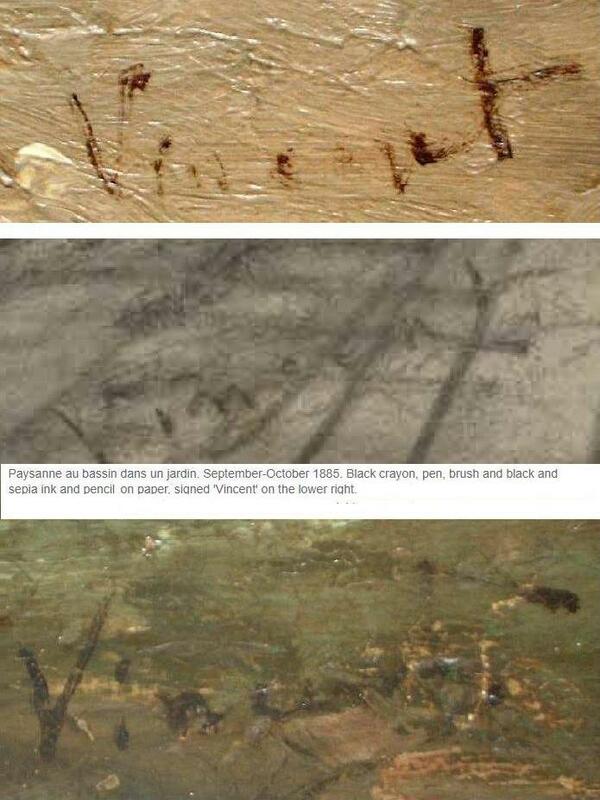 To get more information about the two paintings, this website was published on the Internet 22 June 2006. June 2006 printed A4 photographs of both "Vincents" and the link to the photos on this website were presented to the experts in the Van Gogh Museum in Amsterdam, the Musee d'Orsay in Paris and the Kroller-Muller museum in Otterlo, Netherlands with the question whether the two signed paintings are work by Vincent van Gogh. "We have carefully studied the material you have directed, and based on stylistic characteristics believe that this work can not become Vincent van Gogh attributed. " July 2006 the VGM examined only the printed photos and did not examine the photos on this website. 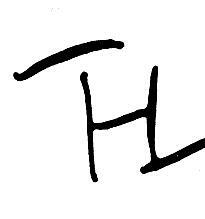 "TL Vincent": a monogram of Henri de Toulouse-Lautrec and the signature Vincent. 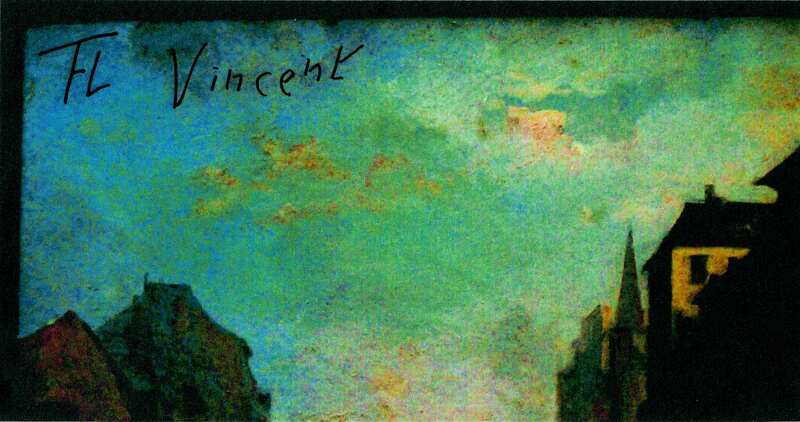 "Picture #2: Review the sky upper left for the artist's name is again written "Vincent". 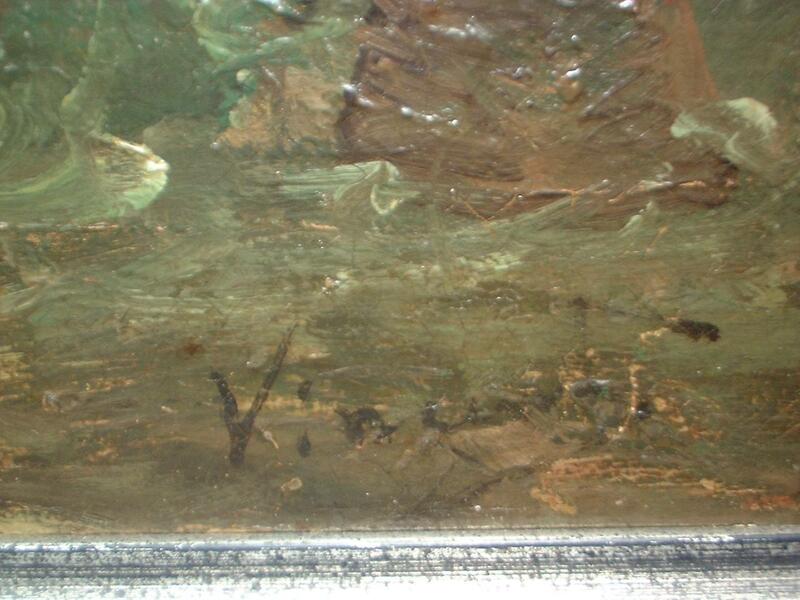 Again in the sky to the left of "Vincent" signature appears to be "TL"
I would estimate the date to be 1886 for both pictures. 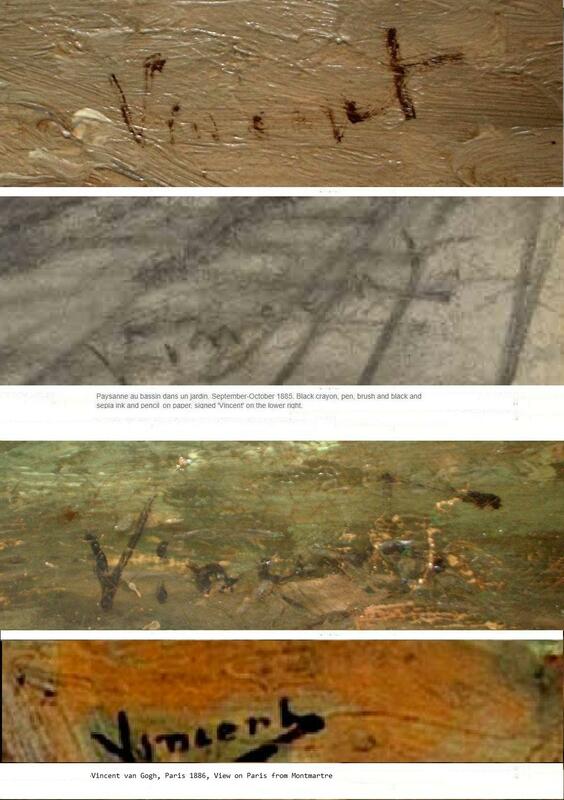 "The 3 pictures are of 1 specific event or location and Vincent van Gogh wrote about it in his letters. I have found the specific letters. your 2 paintings and the other 1 painting. but in a photograph you can read the artists name 'Vincent'. 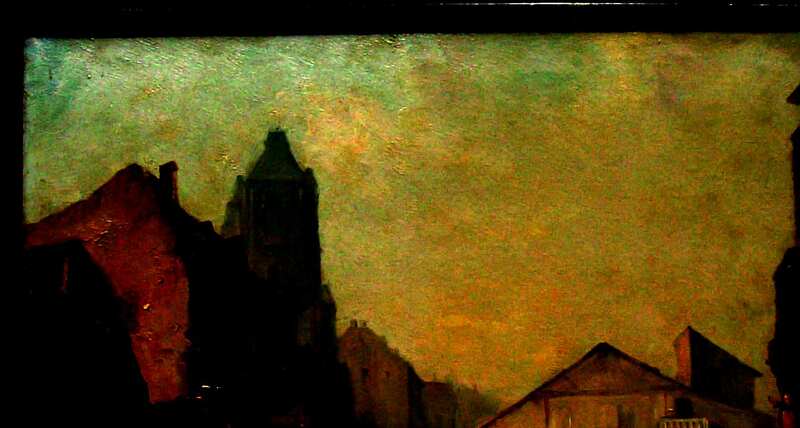 It is study of one of the buildings Vincent Van Gogh admired in the same town=location. There is no indication of any artist but Vincent Van Gogh in the picture. 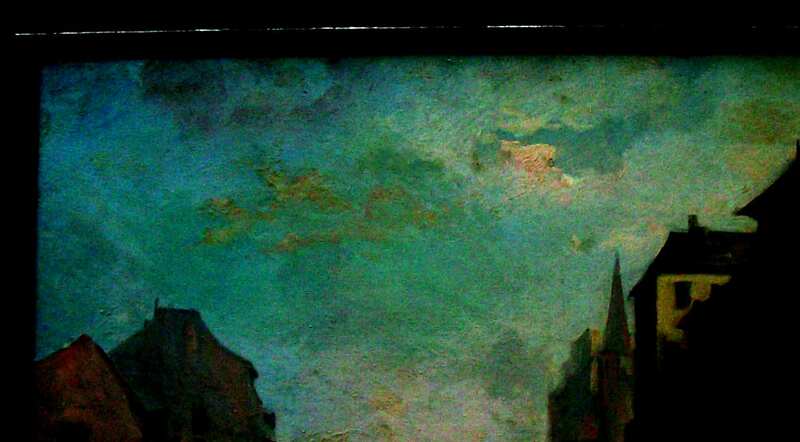 The palette is identical for the buildings in all 4 paintings. " 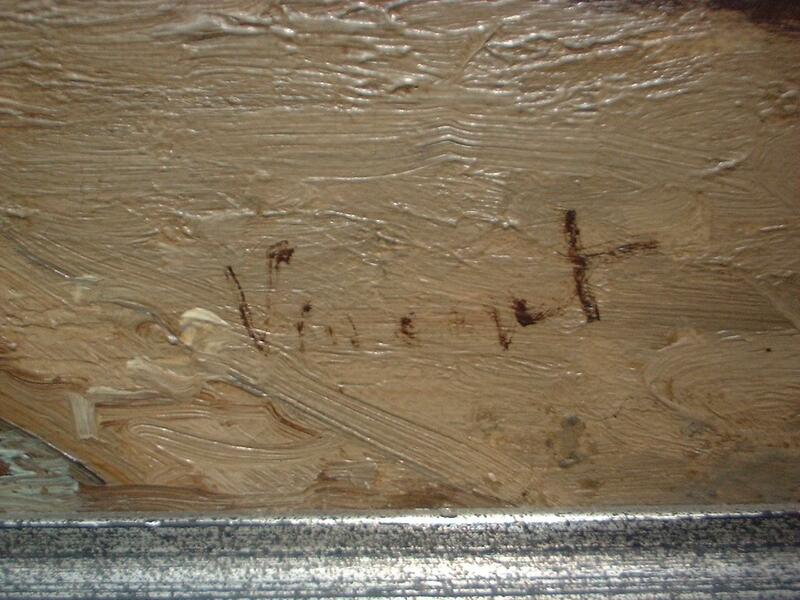 See also the signature "V nc t" in the upper left corner of Picture #1 and largely over painted. - InfraRed picture #2 Detail. The photo's dated 2006 are made again in 2018. 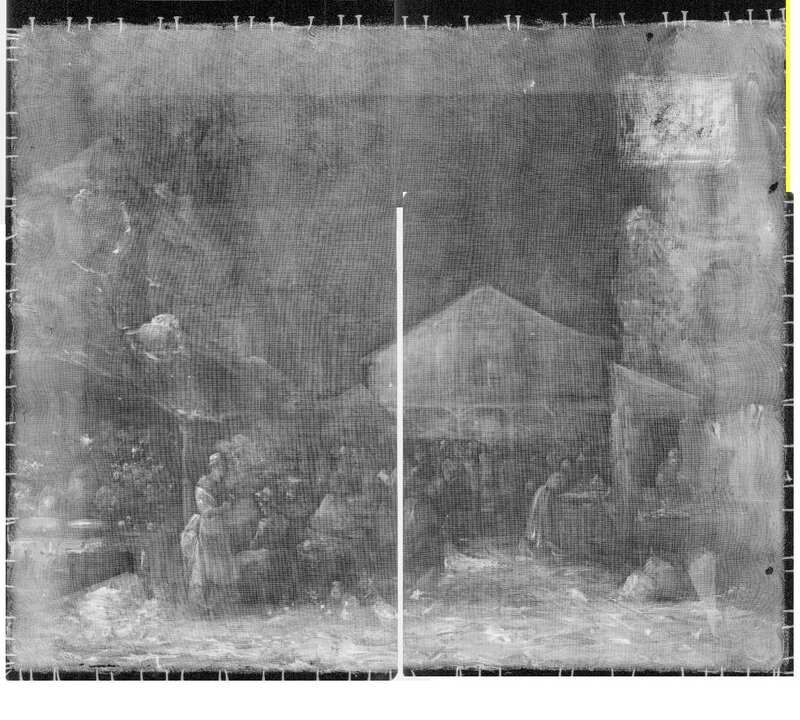 The combination "TL Vincent" is somewhat smaller also on the first layer in the upper left corner of picture#2 under the frame ! 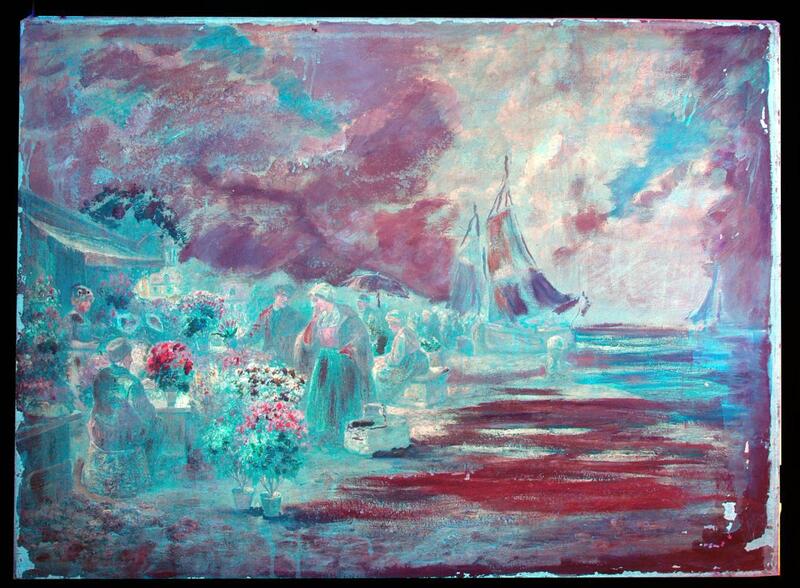 So two times "TL Vincent" on the first layer under the blue sky. - The Kröller-Müller Museum has not the required expertise and referred to the Van Gogh Museum in Amsterdam. "Yes, we agree the paintings have the potential to be by Vincent Van Gogh. Let us know if you want us to authenticate them. Yours sincerely, Mark Winter." but repeated their answer of 17 juli 2006. - First-view UltraViolet photo's of the paintings, made 2018_06_09. - First-view InfraRed photo's of the paintings, made 2018_01_06. 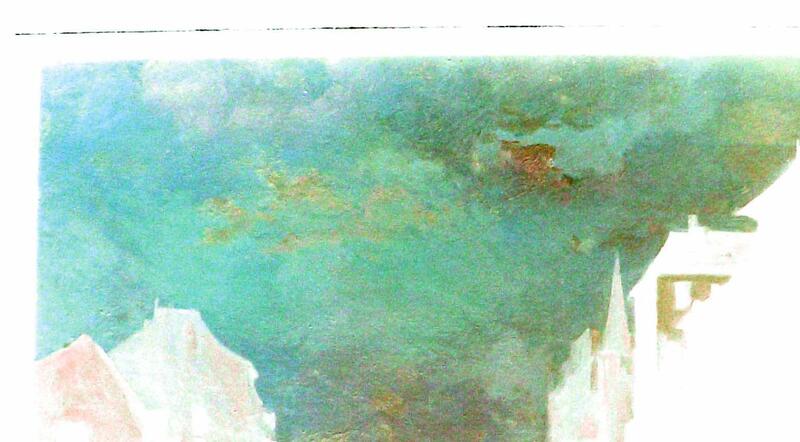 - Photo's Luisa's Impressionist Painting#3. 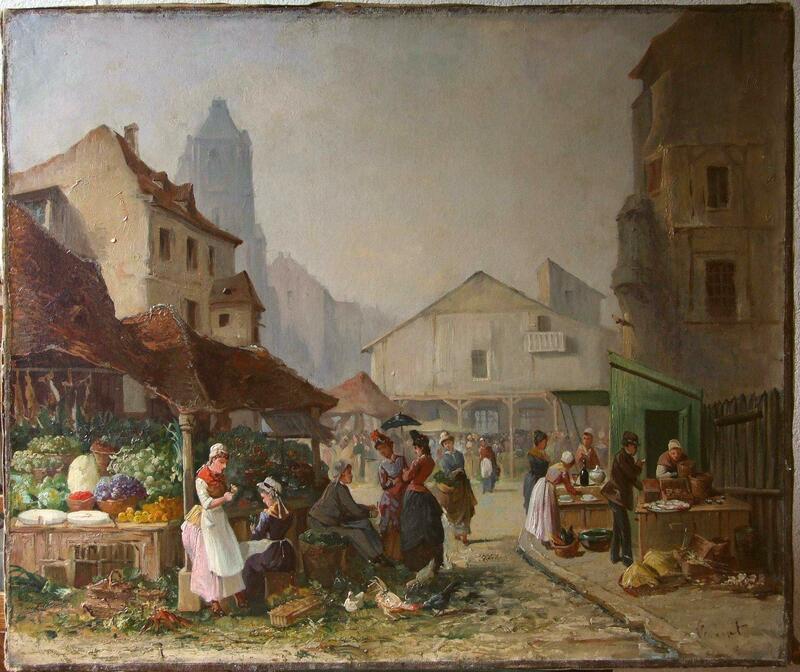 Luisa, living in Venezuela, bought a painting a few years ago in Caracas, also a market scene, in the clear spring colors of the French impressionists. 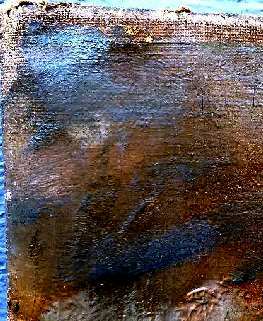 Nobody, among them in 2011 the "Laboratorio Scientifico del MUSEO D’ARTE E SCIENZA, Milan" and the Van Gogh Museum in Amsterdam noticed the "TL" monogram left upper and could tell who painted it. March 2017 Luisa found this website and saw the similarity of her painting to the two "Vincents" and asked me: is my paintng made by the same artist as the "Vincents"? Luisa's Impressionistic Painting painting is since feb. 2018 also on this website and it has also in the left-upper corner the "TL" monogram of Toulouse-Lautrec. Janet G. Smith's opinion and sole opinion is that also this painting is the collaborative work of two artists, Vincent van Gogh and Henri de Toulouse-Lautrec. The date is 1886. 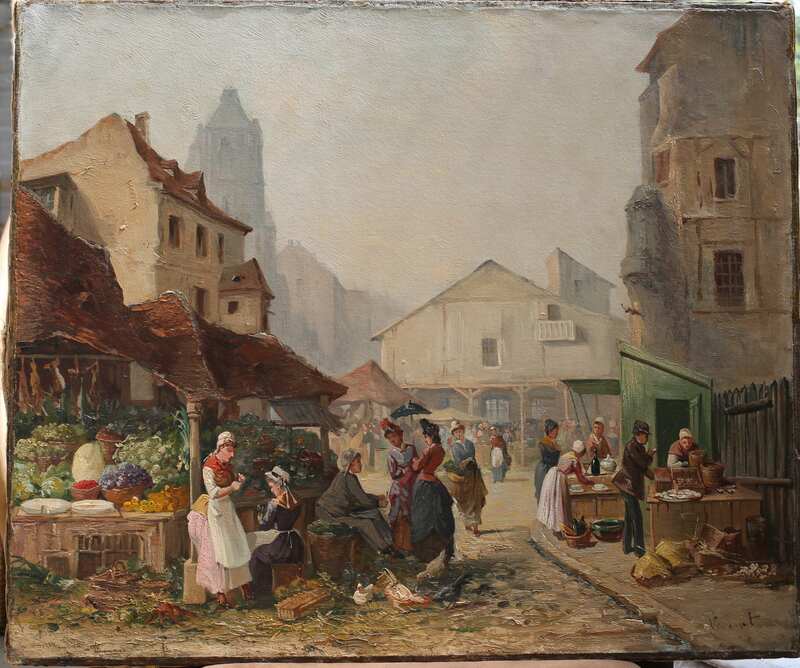 Thank you for the additional information about your family picture, Market Scene. Vincent van Gogh and Henri de Toulouse-Lautrec. The date is 1886. 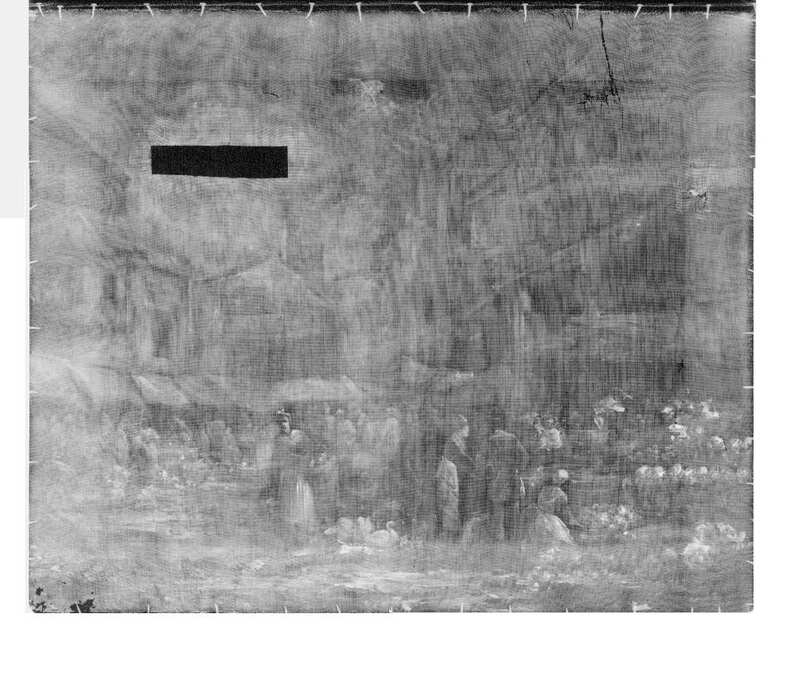 The upper left is where the signature and monogram appear. Please keep the picture safe. Picture#1, 64x53 cm 2370x1900 pix Photo made Jan 2018. Picture#2, 64x53 cm 2353x1971 pix Photo made Jan 2018. 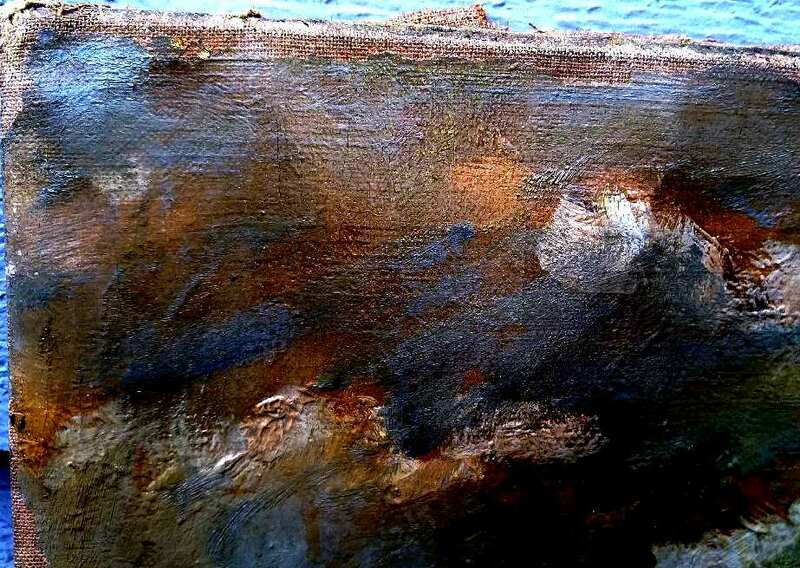 Luisa's Painting, Picture#3, Oil on canvas. 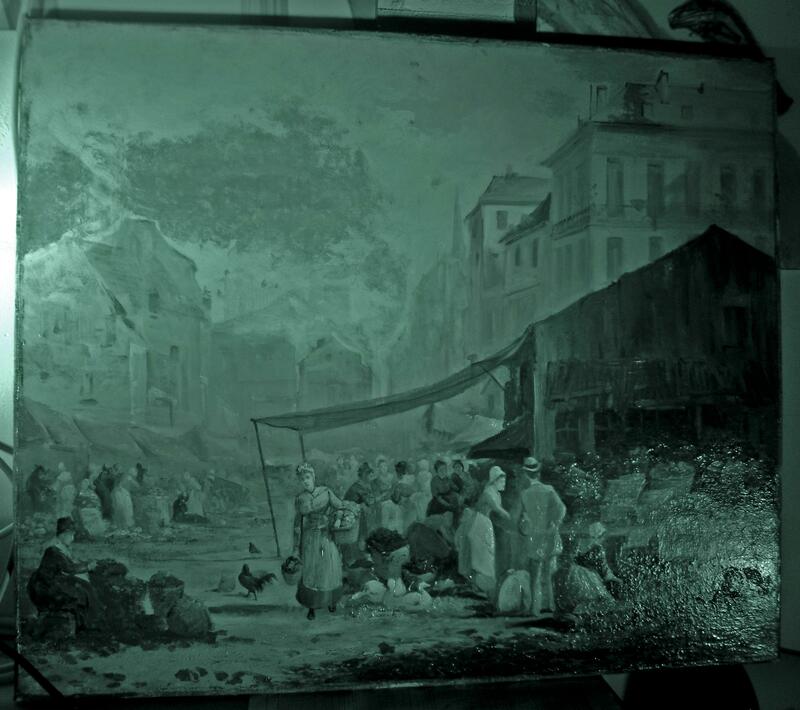 100x73 cm , "TL" signature in the left-upper corner and its "TL" signature (UV-IMAGE), in the left-upper corner. Paysanne au bassin dans un jardin. Vincent Van Gogh. September-October 1885. 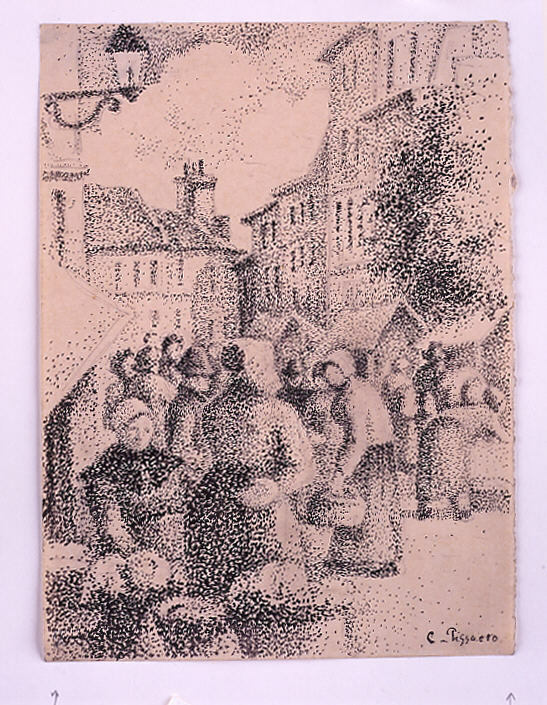 Black crayon, pen, brush and black and sepia ink and pencil on paper, signed 'Vincent' on the lower right, 33x26.4 cm, 2614x3200 pix.